Hudba na svatby – Nabídka živé hudební produkce ke svatebním obřadům i hostinám. 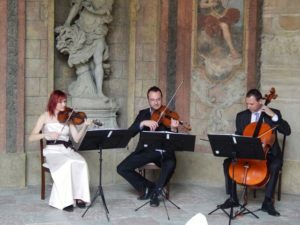 We are professional musicians who have been successful for many years in various bands, orchestras and clusters, together and individually. As a quartet, for example, we were part of the touring band with Rod Stewart, Jank Ledecký and Petr Kolář (Acoustic Tour 2009). From 2008 to 2011, we were part of the VIVALDIANNO project. 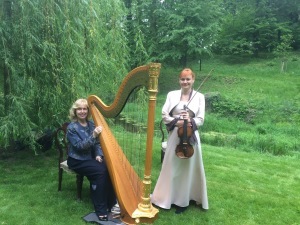 As members of the orchestra, we have played together with Andrea Bocelli, Sting, Vanessa Mae, Placido Domingo, Lucie and Olympic bands, Lucie Bílá, Karel Gott, Dan Bárta, Bára Basiková, Vojta Dyk, Matěj Ruppert and others. We have recorded tracks for Chinaski, Miro Žbirka and Petr Kolář. We are increasingly recording music for movies. Duo violin with a piano or singing with a piano has been the most popular musical revival of various social events since the Mozart era. One consequence of this popularity is the immense wealth of a suitable repertoire. 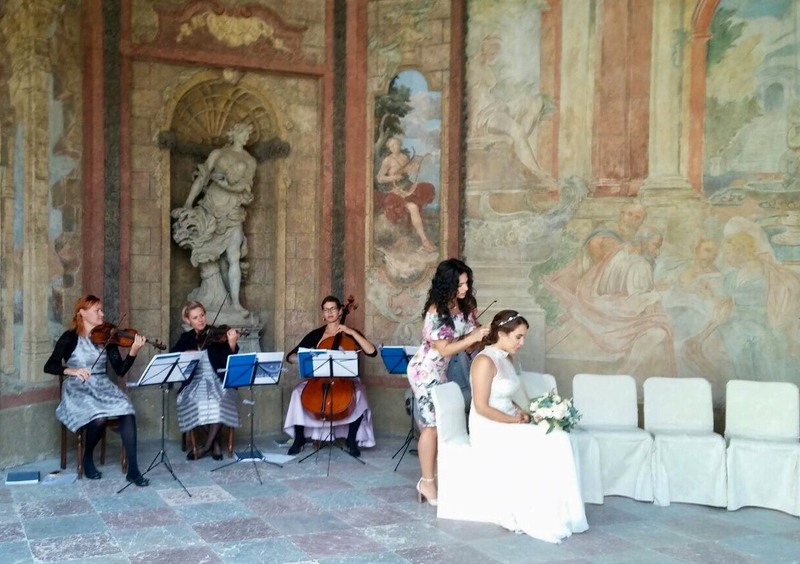 The duo violin with the violoncello is extremely immune to the sound and created for the most beautiful experiences. Ideal for smaller weddings up to 80 guests. 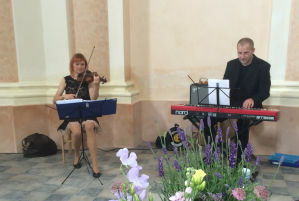 The keyboard give the trio a modern sound and the result is excellent, full sound and the main advantage is undoubtedly an enormous amount of the contemporary repertoire – evergreens, pop, hits of contemporary world and Czech popular scene. 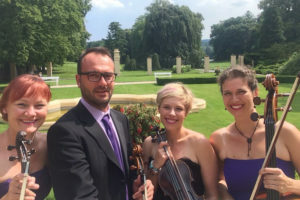 String trio in classical composition (violin, viola, cello), with classical sound, but with a modern repertoire. 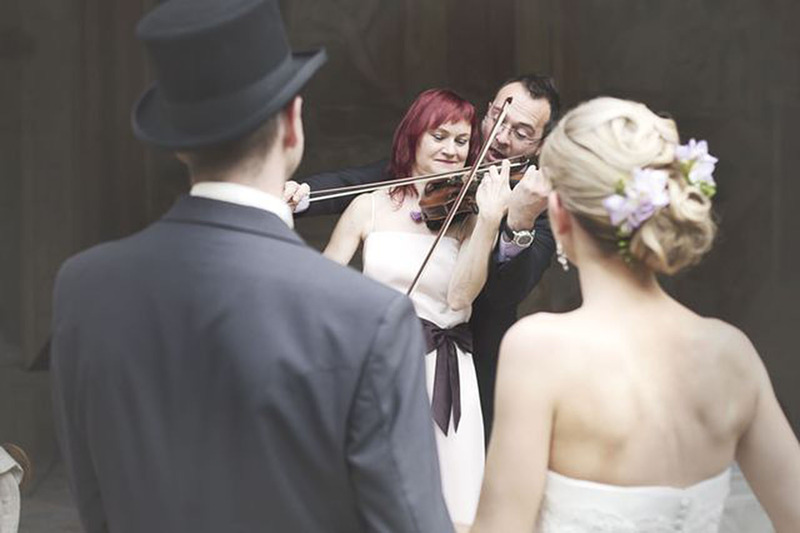 Wedding String Quartet are four professional musicians. My name is Melody Quartett, and weddings are our hearts. 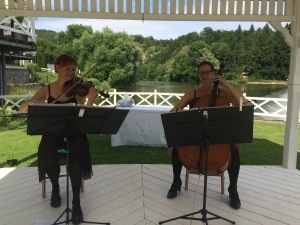 In addition to wedding ceremonies and banquets, we also play at parties, private, corporate and VIP parties, and we are also guests or part of larger music projects. This set is suitable for your entire wedding day. To the ceremony, a wedding feast-banquet as a key-string quartet. 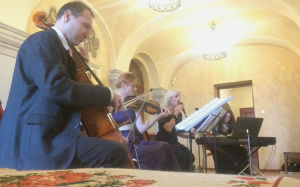 And in the evening, our violist becomes a singer, and we can play with dancing and full-length dancing. You do not have to invite another dance group tonight. 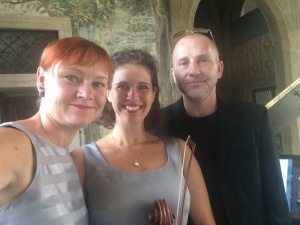 Dear Dana, Immense thanks to you and the quartet for such moving playing yesterday. It made all the difference in the world to have you there. Moc a moc děkujeme za hudební doprovod vašich kolegů na svatbě, kterou jsme pořádali našemu synovi tuto sobotu na Salabce. Byli úžasní!!! Skvělá muzika a profesionální vystupování! My a všichni naši hosté jsme byli nadšeni. Rádi bychom Vám poděkovali za Vaši spolupráci, vstřícnost a ochotu při realizaci skaldeb, které jsme si vybrali k našemu svatebnímu obřadu. Oceňujeme i realizaci přepisu skladby k našemu odchodu. Skladba pro nás měla svůj význam a jsme rádi, že tam zazněla. I díky Vám máme na tento den krásnou vzpomínku.